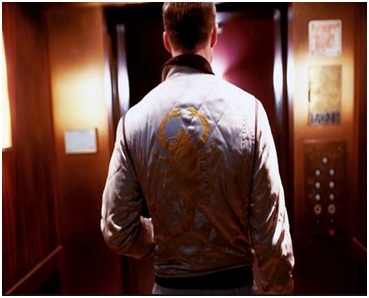 Hollywood heartthrob Ryan Gosling wears the white jacket with Golden Scorpion embroidered in the movie Drive. 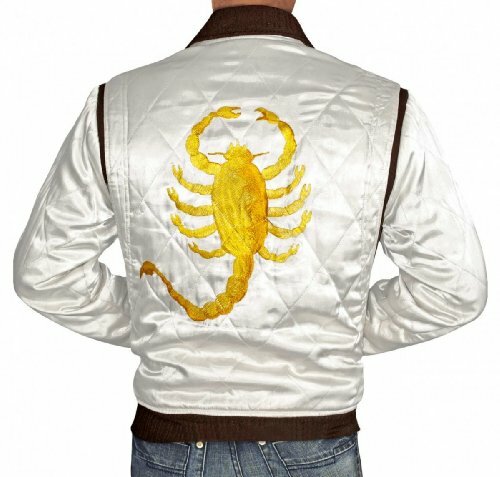 Portraying as a dangerous, rash driver, Ryan wears this jacket as a symbol of his love with cars. Looking classier than ever, Ryan does justice with the Jacket. If you are in some need for speed, this jacket is a must for your wardrobe. 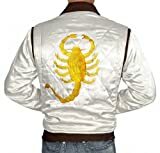 Ryan Gosling Scorpion Drive Jacket – ?BEST SELLER?